I've had a secret that's been killing me to keep. What began as a couple friends that "met" through instagram and a few comments here and there about one day getting the chance to meet developed into a full-out instagram meets tulsa meets crafting meets food event! That's right. My friend Amanda Rydell, the talent behind oh my little dears, Allison Deaver, the super lovely lady behind Our Vintage Love and I came together to make this little event happen. I mean, there's an IG meetup, Mexican food provided by one of my favorite local spots, Elote, some crafting and chalking and vintage treasure hunting - what's not to love?! Even better, the event will be held at Made in the Deco Arts District in downtown Tulsa! Holla. Obviously, I would love for everyone to come but seats are limited so if you want to join in, go here to register. 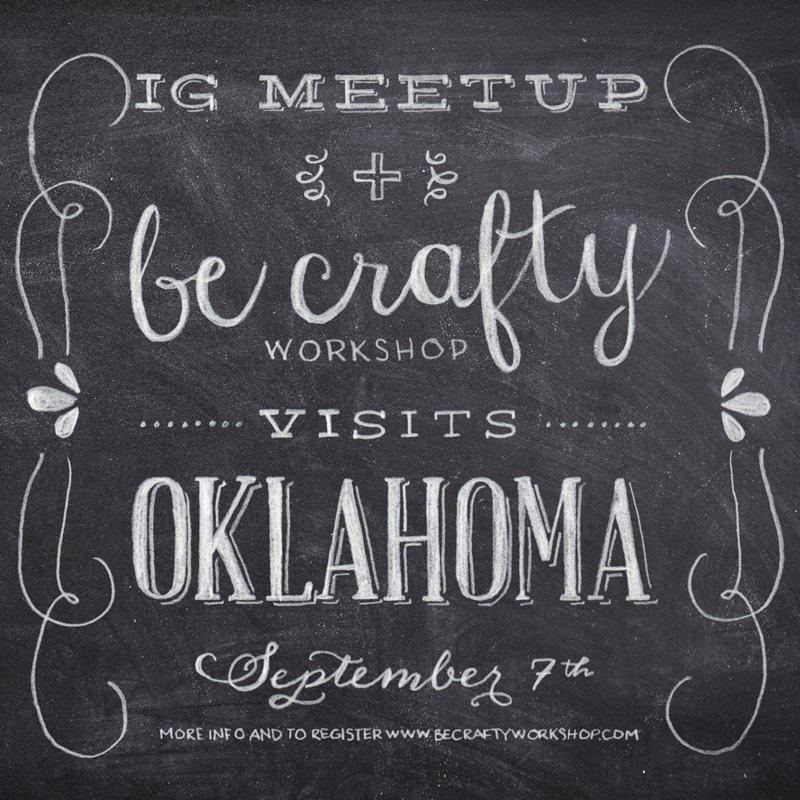 And, if you can't make the Be Crafty workshop, please come to the IG meetup - it's free and open to the public. I'd love to meet some of you in real life! But not all of you ;) Ha. Kidding. Come. All of you. And a little added incentive, there are going to be some pretty sweet giveaways at the meetup! So there you have it. The secret is out. See you on the 7th! I drove through Tulsa on June 7th. A few months too early. I do hope to meet someday! I am SSOOOO disappointed I will be out of town that weekend! Hoping another member of our team can make it and I can live vicariously! This is such a neat idea! Will you have items from your store at either event?